Happy National Doughnut Day! To celebrate, we’ve rounded up 9 next-level doughnut recipes that you dough not want to miss. Baked, soft and fluffy cake doughnuts are easy to make at home. Forget fussing with frying and hot oil, these baked beauties are equally delicious and maybe just a tad more nutritious, too. All you need is the Wilton Doughnut Pan, some cake mix and a little creativity. Or, just follow in these talented ladies’ footsteps and try all 9 of the knockout baked doughnut recipes below. For starters, we have a good old-fashioned strawberry doughnut (swoon). 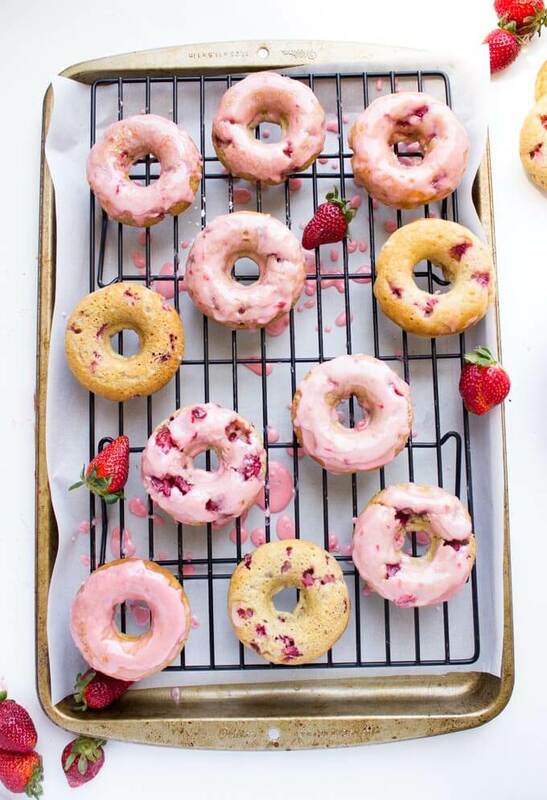 Buttermilk batter gives these baked doughnuts an especially light and fluffy texture that’s loaded with fresh chopped strawberries and topped with a homemade pink strawberry glaze. Get the full recipe at Little Broken. THE INSIDE SCOOP: It’s easier (and mess-free!) to glaze doughnuts with a cooling rack and some parchment paper. Place parchment underneath cooling grid to catch excess glaze and toss the paper when you’re done. Photo & Recipe Credit: Katya of Little Broken. If you’re looking for an au natural option, look no further. 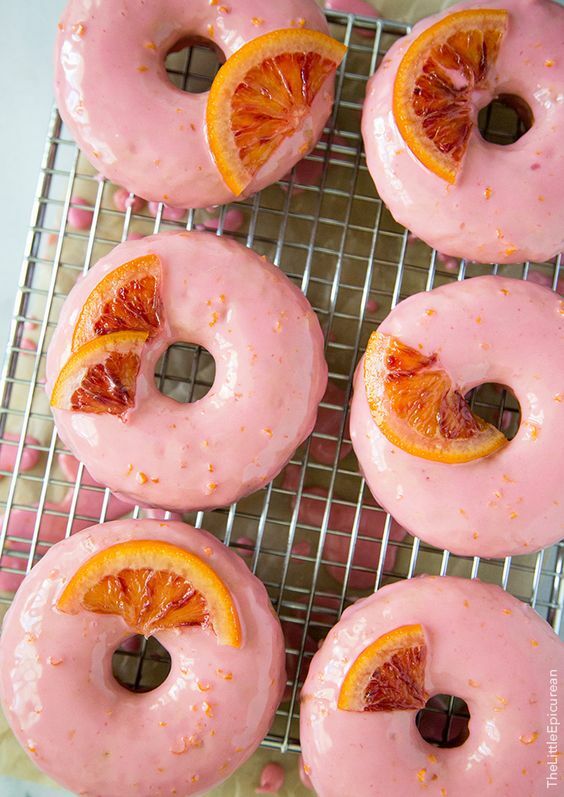 These bright and summery, blood orange doughnuts are made with no artificial coloring and only fresh ingredients, including candied blood oranges. YUM! Get the full recipe at The Little Epicurean. Recipe & Photo Credit: Maryanne of The Little Epicurean. WOW, just wow. 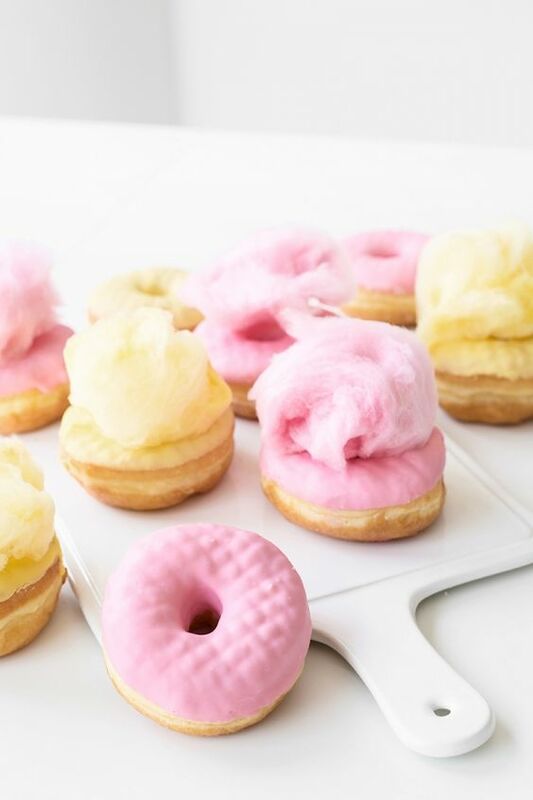 How fun are these adorable Cotton Candy Doughnuts? They used store-bought doughnuts and homemade cotton candy, but you could totally DIY your doughnuts and buy store-bought cotton candy. Don’t forget to top it off with white nonpareils. Get the full recipe at Studio DIY. THE INSIDE SCOOP: If you’re making your own doughnuts, let the frosting set completely before topping with cotton candy (so the cotton candy won’t melt). Recipe & Photo Credit: Kelly of Studio DIY. A-dor-a-ble and so customizable, too! We’re loving these DIY Graphic Doughnuts made using Alphabet Sugar Sheets Edible Decorating Paper. Fun phrases like “WAKE UP” and “FLAWLESS” are completely on point with the Font & Center trend from our 2016 Baking & Decorating List. Get the full recipe at Studio DIY. THE INSIDE SCOOP: Alphabet Sugar Sheets are 100% edible, made from sugar. Plus, they come pre-cut and ready-to-use so you can spell out any custom message you like. 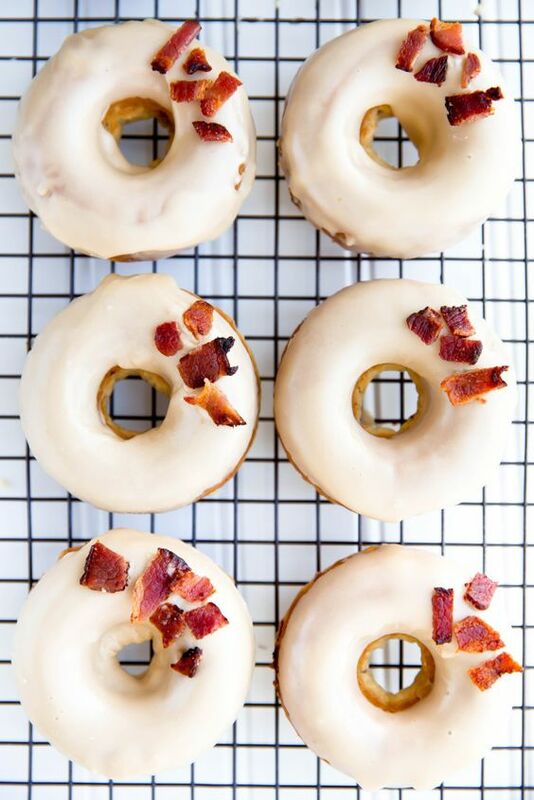 The Maple Bacon Doughnuts have DAD written all over them, perfect for Father’s Day (which is coming up, guys!). Sweet and savory, crispy smoked bacon folded into fluffy donuts topped with syrupy maple glaze and more bacon, what’s not to love? Get the full recipe at Broma Bakery. Recipe & Photo Credit: Sarah of Broma Bakery. Best cake doughnut ever. 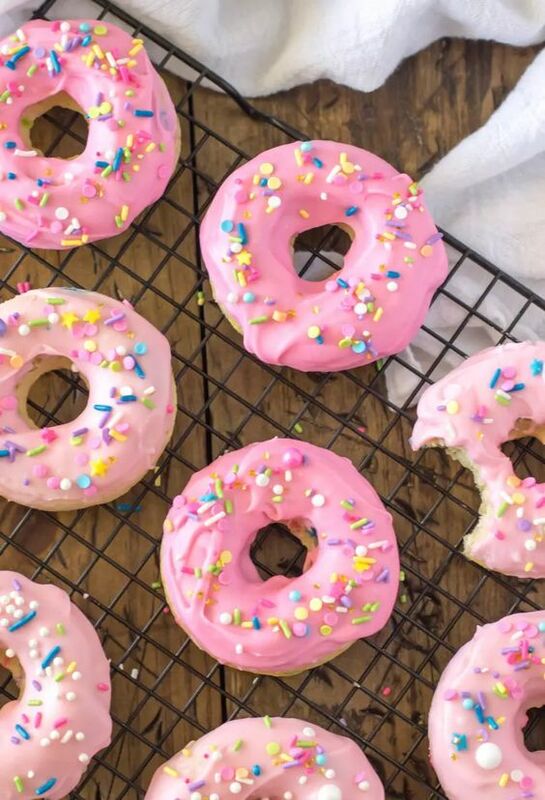 Homemade funfetti cake batter in doughnut form? Yes, please! 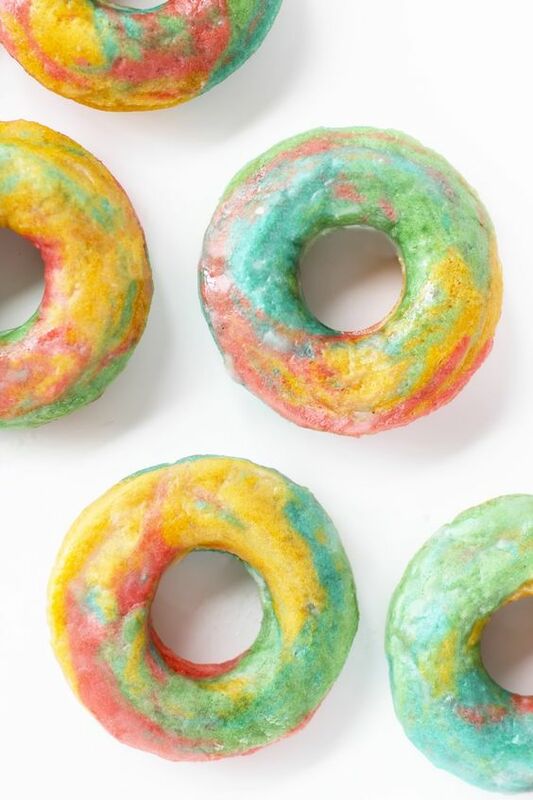 The rainbow colors and classic birthday cake taste make these DIY doughnuts a fun go-to recipe to keep on hand. Don’t forget the sprinkles! Get the full recipe at Life’s Ambrosia. THE INSIDE SCOOP: Use the circle shapes in the Flowerful Medley Sprinkles Mix and classic jimmies to achieve the look below. Recipe & Photo Credit: Sam of Life’s Ambrosia. Indulge your inner Kidult (the perfect way to try the Catering to Kidults trend!). 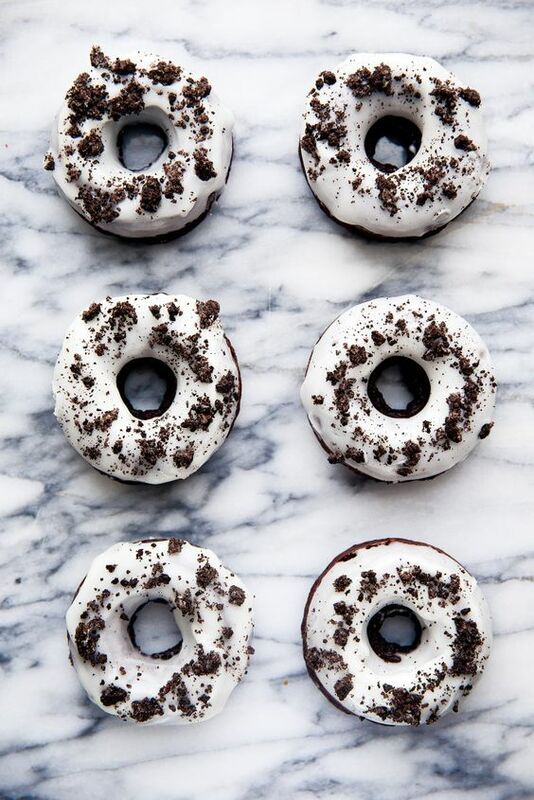 Chocolate donuts with crushed Oreo cookies baked right in, then topped with a vanilla glaze and more Oreos. NOM, NOM, NOM, NOM. Get the full recipe at Broma Bakery. Recipe & Photo Credit: Kelly of Broma Bakery. Marbled cakes are HUGE right now so why not give doughnuts a similar effect. These Tie Die Rainbow Doughnuts have the same marbled look with tons more color. Learn how to make them at Aww, Sam. Recipe & Photo Credit: Sam of Aww, Sam. 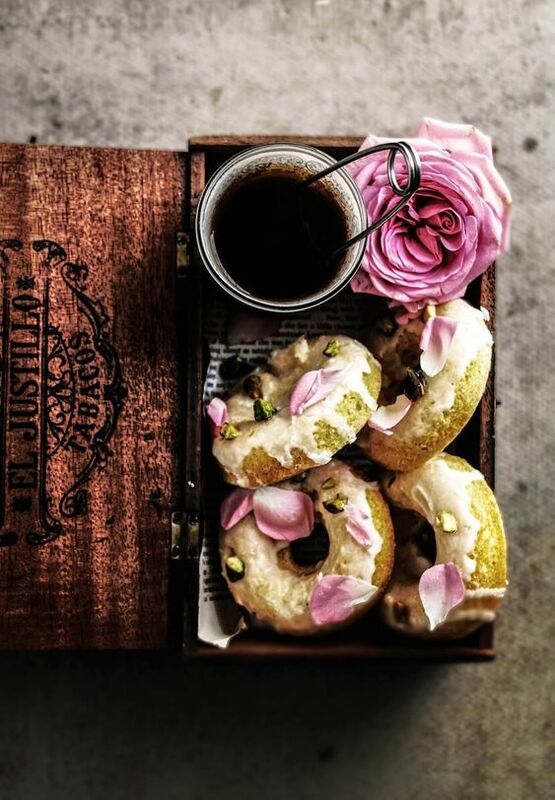 Another naturally delicious take on the doughnut, the Parisian Love Cake recipe is made with rose, lemon, pistachio, saffron and cardamom. This is the next-level flavor explosion we like to see. The foodie in me bows down to Aimee from Twigg Studios for this greatness. Plus, this is a lovely play on another trend on our list, Nature’s Beauty. Get the full recipe at Twigg Studios. Recipe & Photo Credit: Aimee of Twigg Studios. And, that is how you do the baked doughnut. Hats off to these talented ladies taking doughnuts to the next level. Baked or fried? What’s your favorite? very nice blog and recipes.